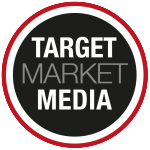 Target Market Media Publications has created a business model that can be run from the comfort of your home office. The ability to work from home is the ideal fit for most of our publishers for a variety of reasons. Most, however, see the benefit in starting a business without the hassle and cost of leasing and setting up office space. Most of the administrative-end tasks can be completed from a home office with access to a computer (preferable a laptop) with WiFi and a printer scanner. Target Market Media provides most of the computer programs required to do the business through an Office 365 account. Even though your business will be run from a home office, the majority of a publisher’s time is spent on the go at sales appointments, networking events and meeting clients. Because of this, Target Market Media provides an Office 365 account with cloud access that makes accessing all your information on the road easy. You’ll just need a tablet, laptop and/or smartphone to run your business from the hub of your car. Target Market Media is always working to make your business more accessible, so the publisher can focus on what matters to them – hitting the road to book advertising. The ability to work from home is a benefit most startups value from the beginning. While some of our publishers grow their business to the point where they feel the need to rent executive office space or other more traditional offices, many of our publishers continue to run their established businesses from the security of their home office. To learn more, contact our market development team or complete or contact form.